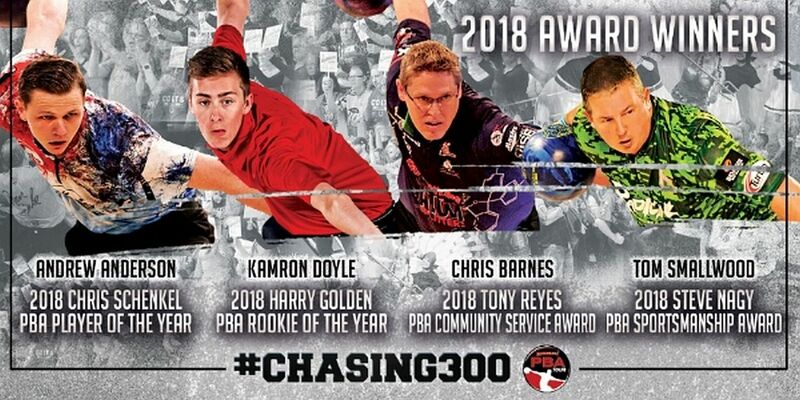 Second-year Professional Bowlers Association member Andrew Anderson of Holly, Mich., has been selected as the 2018 Chris Schenkel PBA Player of the Year, and 20-year-old Kamron Doyle of Brentwood, Tenn., has won 2018 Harry Golden PBA Rookie of the Year honors, PBA CEO and Commissioner Tom Clark announced Tuesday. Anderson and Doyle will be recognized on national television during the PBA Clash telecast that will air on FOX on Sunday, Dec. 23. Smallwood and Barnes will receive their awards during the PBA Hall of Fame induction ceremonies that will be live-streamed by Xtra Frame on FloBowling on Saturday, Jan. 5, from the International Bowling Museum and Hall of Fame in Arlington, Texas. Anderson (right), a 23-year-old right-hander who is still pursuing a degree in elementary education, returned to Go Bowling! 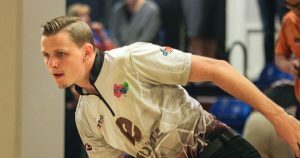 PBA Tour competition in 2018 highly motivated after not being selected to participate in the PBA League Elias Cup competition and won a pair of titles: the 2018 United States Bowling Congress Masters (his first major) and the PBA Xtra Frame Greater Jonesboro Open on his way to winning the 2018 Harry Smith PBA Points Leader award. 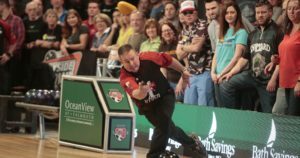 He cashed in 16 of the 19 events he entered and had five top-five finishes, including a third-place finish in the PBA Tournament of Champions. 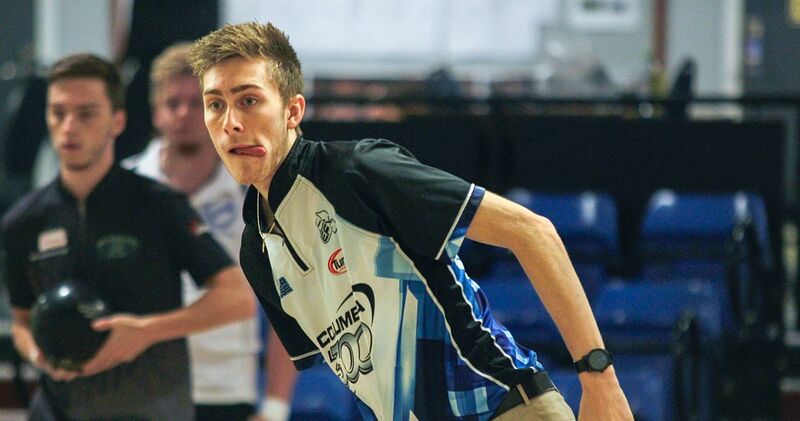 He is the second-youngest player ever to win the award, behind only the late Billy Hardwick who was 22 when he was selected as PBA’s first Player of the Year in 1963. Doyle (left) also dominated voting, winning “rookie” honors easily over Thailand’s Annop Arromsaranon, the only first-year PBA member to win a title (the PBA-World Bowling Tour Busan Cup in South Korea). 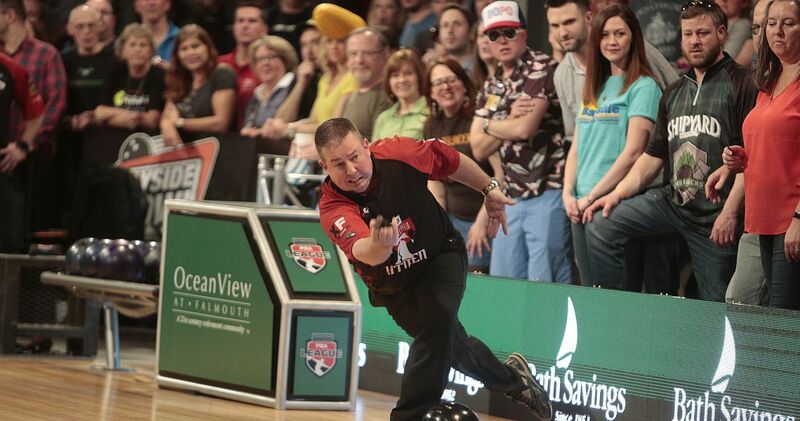 Doyle cashed in seven of the 15 events he entered, and had a personal-best third-place finish in the Xtra Frame Gene Carter’s Pro Shop Classic in Middletown, Del. 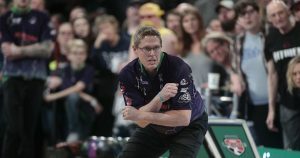 Smallwood (right), a 41-year-old country music fan and avid deer hunter, is one of a handful of PBA Tour players to win the Steve Nagy Sportsmanship Award more than once. The 2016 Nagy recipient has earned the admiration of his fellow players despite his quiet, unassuming ability to beat them when the pressure is on. 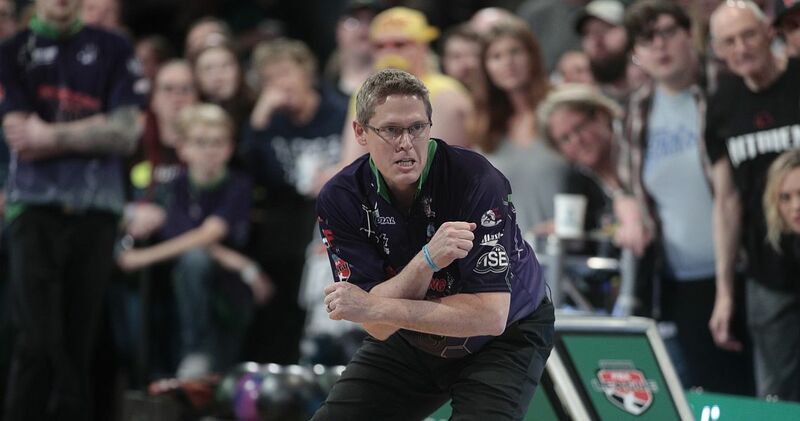 His three PBA Tour titles include a pair of majors: an historic win in the 2009 PBA World Championship after losing his job in the auto industry, and a pressure-packed four-match climb to the title in the 2018 Barbasol PBA Players Championship. He has four additional top-five finishes in majors among his 23 career championship round appearances. Barnes (left), and his wife, PWBA champion and USBC Hall of Famer Lynda Barnes, have been in a “give back” frame of mind for years. For starters, the Chris Barnes Thanksgiving Classic has awarded more than 260 youth bowlers with more than $200,000 in scholarship assistance since its first event in 2004. Across the years, more than 3,200 young bowlers have participated in the annual holiday event.